There are only two variables that are preventative in nature: diet and exercise. we can't force you to exercise, but we can help you change your diet. Have you noticed that everything about "western" medicine is about chasing after the symptoms, not the causes? Even when we try and do something good for ourselves, we can only think in terms of the aftermath, not the prevention. "Detox" and "Cleanse" are the most common terms used in the industry and both already accept the notion that we are repairing damage already done. It's detoxing, not avoiding toxins in the first place. We are trying to change that way of thinking. We want you to think about about the science of health, not the hype or the trend. We’ve all heard the celbrity hype about juice and smoothie cleanses and fasts. Do this, not that. Only my way is good for you, not their way. This endless misinformation has created a backlash from the medical community. To many in the field, it's science vs. the “woo” merchants; the people making billions of dollars off our confusion and desperation. So, what is the truth that people like Bill Clinton and Beyonce swear by? Is there something else at work that the medical community and skeptics aren’t taking into consideration? The doctors are correct. It isn’t the juice that "cleans" the body. It is giving the body a break from today’s toxins, so that it can completely break down yesterday’s toxins that cleans the body. And that is the simple reason why juices and smoothies work so well to “cleanse” and “detox” the body. They give us a break from all of the toxins we don’t even realize we are eating at almost every meal. This is what we mean by the science of health. It isn't enough to say an apple a day keeps the doctor away. We want the doctor to tell us exactly HOW the apple keeps him away. We are always reaching out to top nutritionists and experts in the field for the latest breakthroughs in nutrition science. So, take a BREAK from processed “fast” food. Take a BREAK from the additives and preservatives; the chemicals and the toxins. Take a BREAK. For life! Please complete the form below to begin your journey into the science of health. Be sure to tell us something about yourself to get a special gift, students in particular. We want to know what you have experienced in the world of health and nutrition and what your goals may be in the furture, so that we can help tailor design a better approach. Thank you for contacting BREAK Juicery. 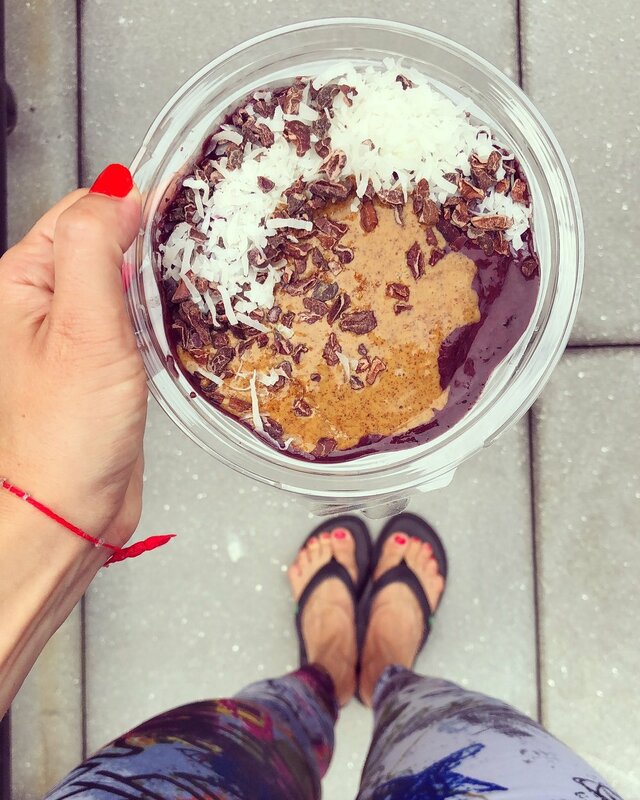 Bringing the science of health back to the juice, smoothie and acai bowl industry. If this is in regard to a special promotion we are running, you will receive the promo code shortly. We will be sending you a brief preference survey shortly for you to fill out and help us learn more about your particular health and nutrition needs. Fill it out in full and return it to our attention so that we can recommend the right additions to your health and wellness plan. Privacy Assurance: Your name and email address may be used to send you information, respond to inquiries, and/or other requests or questions. BREAK Juicery, or its affiliates or assigns, will not share, sell, rent, swap, or authorize any third party to use your information for commercial purposes without your permission. Your email address may be shared with third-party vendors to the extent necessary to provide and improve web services or other communications to customers. For example, we may use third parties such as Google Analytics to generate reports on site usage, web traffic, user behavior, and user interests in order to optimize our new website for our visitors or provide improved goods or services. We may also use geographic, demographic, and interest-based reports of our customers to create custom audience lists. We prohibit any third parties who receive user information for this purpose from using or sharing user information for any purpose other than providing services for the benefit of our customers. You will always have the option to opt-out, or otherwise unsubscribe from any email services. At BREAK Juicery, your information is just that; yours.